The medieval town of Asti is worth a visit! Thanks to its strategic position, in the heart of Monferrato land, and its commercial vocations, Asti was one of the richest municipalities of North Italy having relations with many countries of Europe. Let’s stroll together along the ancient lanes to admire the high medieval towers or the elegant noble palaces. If you want to discover more about Asti’s identity, you can’t miss in September the Palio race, the oldest in Italy. The old traditions mingle perfectly with the wine and agricultural scene of the surrounding countryside. 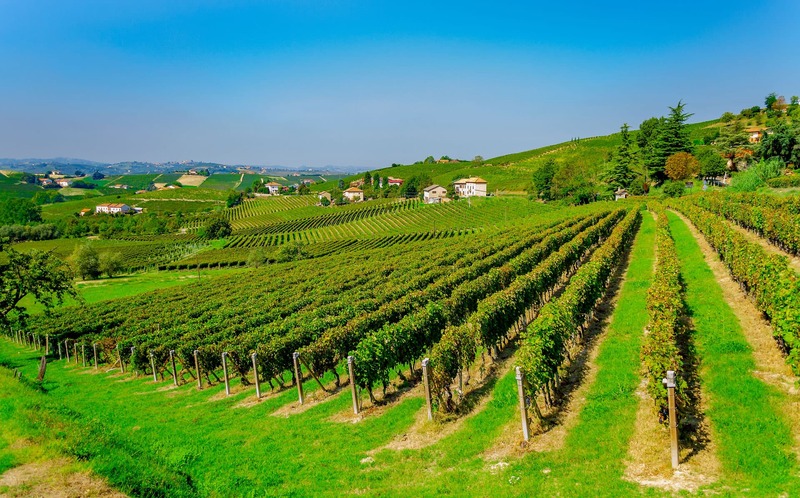 Monferrato is renowned for Asti Spumante (sparkling wine) and Moscato d’Asti (still wine). The town of Canelli is the heart of this production offering to the visitors something unique such as the “wine cathedrals”, a wide net of underground cellars. Nowadays, as in the past, special temperature and humidity conditions make these unusual aisles the best place to refine still and sparkling wines.